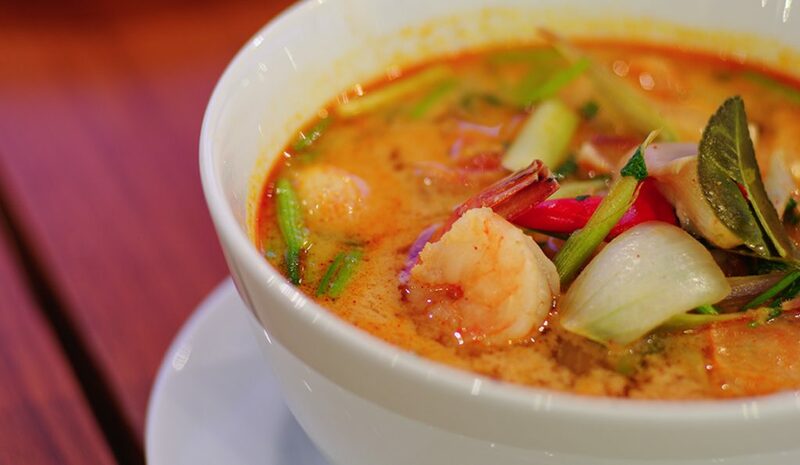 Tom Yum Goong is a classic favourite of locals and travellers alike. It is a soup with its roots tracing back to ancient times. The dish has earned its name from the key ingredient fresh water shrimp, which is otherwise known as Goong in Thailand. A sumptuous infusion of kaffir leaves, lemongrass, galangal, shrimp, and chilly – Tom Yum Goong has found a home in kitchens and hearts all over the world. When you are wandering the streets of Bangkok and hear a distinct clinking sound then immediately stop and take notice of it. You will find yourself learning the art of dishing Som Tum – a delectable salad that calls for more than one serving. It is made by grinding shrimp, Thai child, fresh garlic, juicy lime, palm sugar, and other herbs in a mortar till it turns into a sauce while papaya, peanuts, carry tomatoes, and long beans are saved for later. 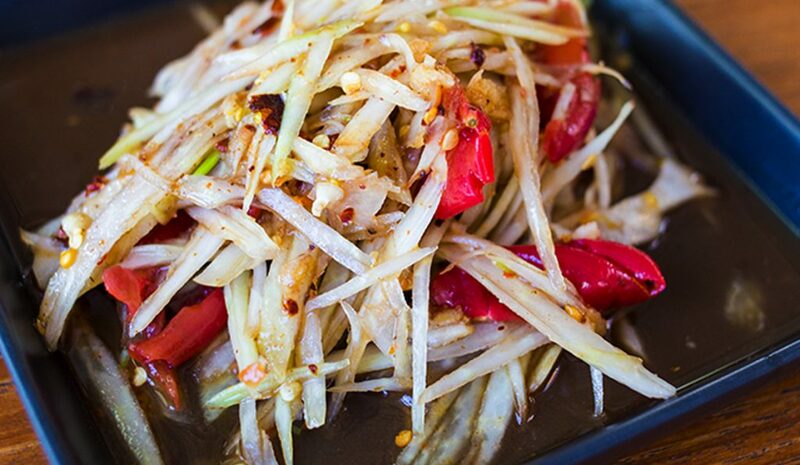 You can eat it as an accompaniment with sticky rice, crab, and varied seafood, but be wary of the amount of chili in the salad! 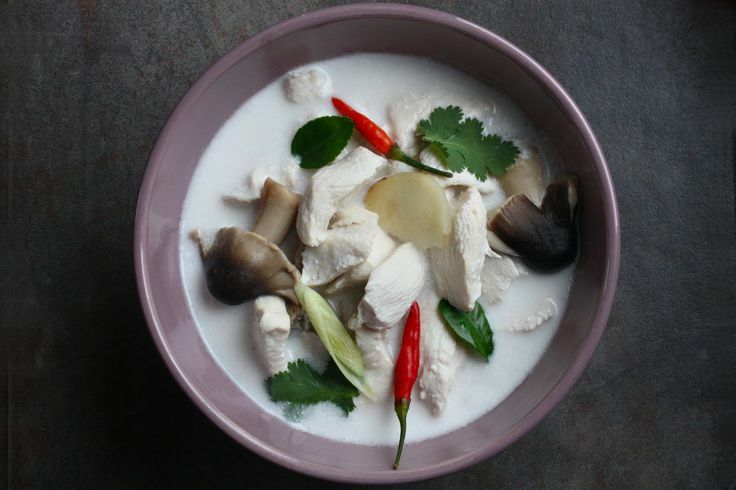 Tom Kha Kai or Coconut Chicken Soup is a cousin of Tom Yum Goong, but not a distant one. The key ingredient of this soup is chicken broth infused with coconut milk, lemon juice, chili, ginger, and other vegetables. This thick, creamy soup is not only delicious, but an absolute saviour if you are battling cold and flu. If you are looking for a dish to set your palette on fire then Gang Daeng is what you need to eat! 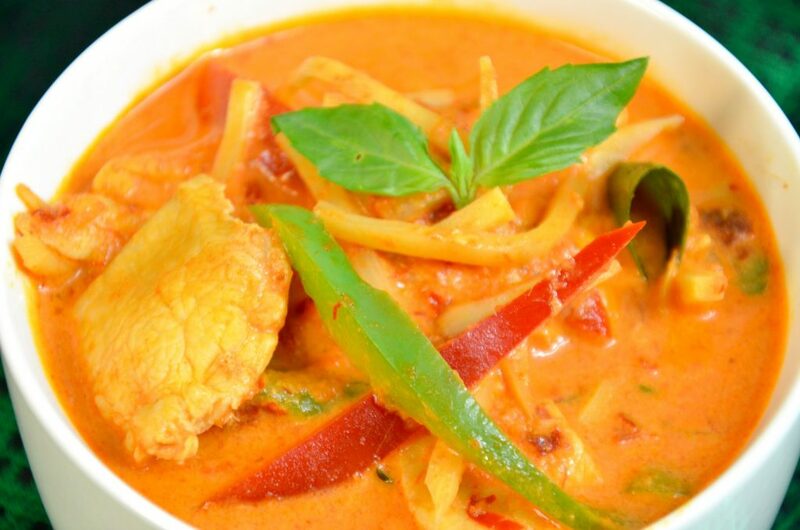 It is a Thai Red Curry made from meat, coconut milk, chili, kaffir lime, and fresh sweet basil; you can always experiment with other ingredients to enhance the taste. Gang Daeng is a staple dish among locals and is considered a symbol of prosperity and creativity. You will find Pad Thai cooking in every nook and corner, but you might not know that it is the national dish of Thailand! It is made of rice noodles, shrimp, and tofu tossed with tongue tingling herbs and sauces. 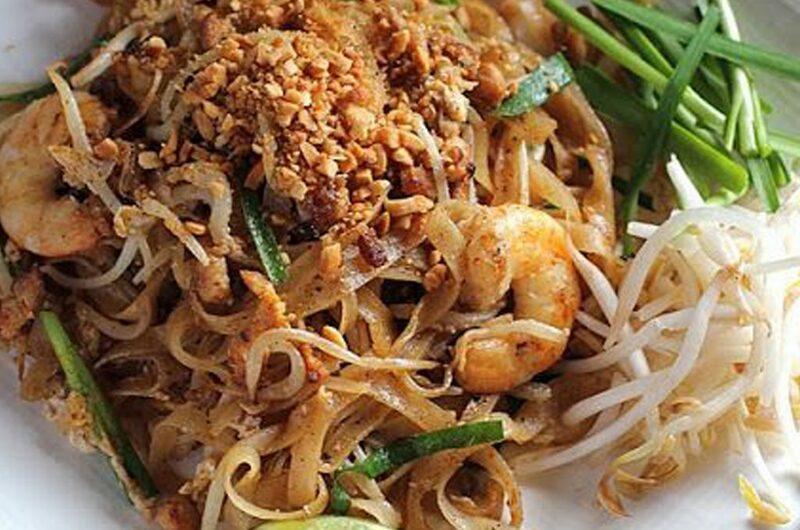 A staple dish in Thai diet, Pad Thai is an absolutely must-have if you are visiting Thailand. 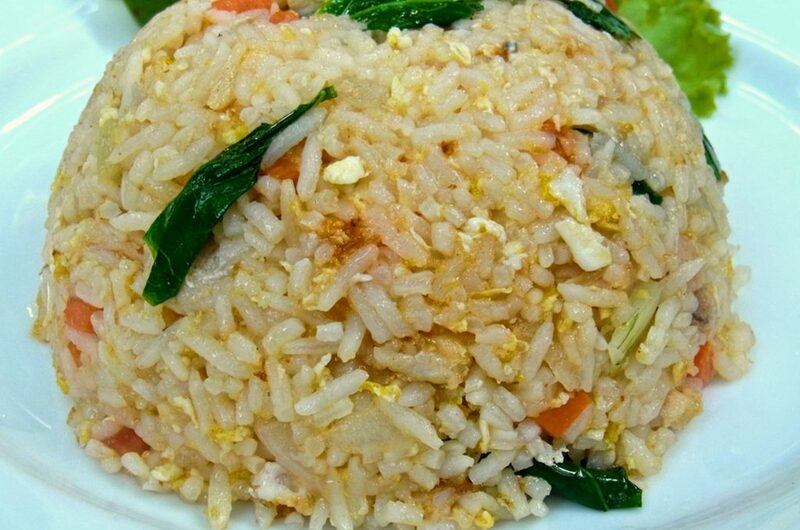 Khao Pad is better known as Thai fried rice across the globe. If you have had enough spice in your belly then order a healthy portion of Khao pad, which is relatively bland as per Thai palette. It is made of jasmine rice, meat, fish sauce, and lime juice as the key ingredients. 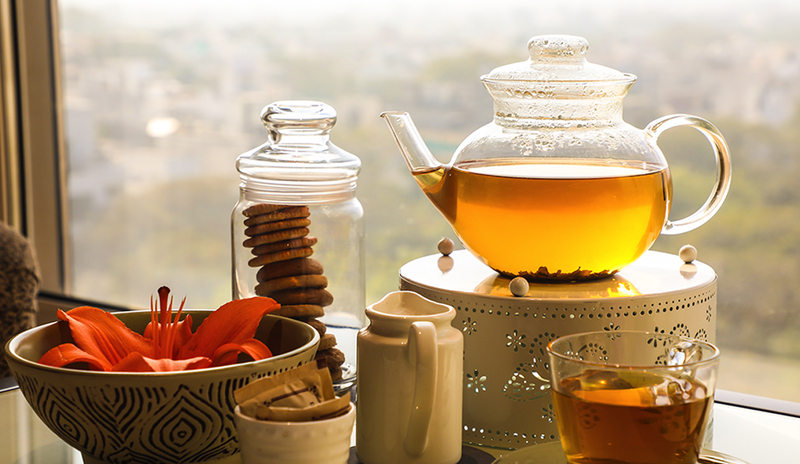 You can season the dish if your taste buds demand fiery and strong flavours!